Looking for a unique personalized gift or home accent? These carved flowerpots are a true conversation piece! 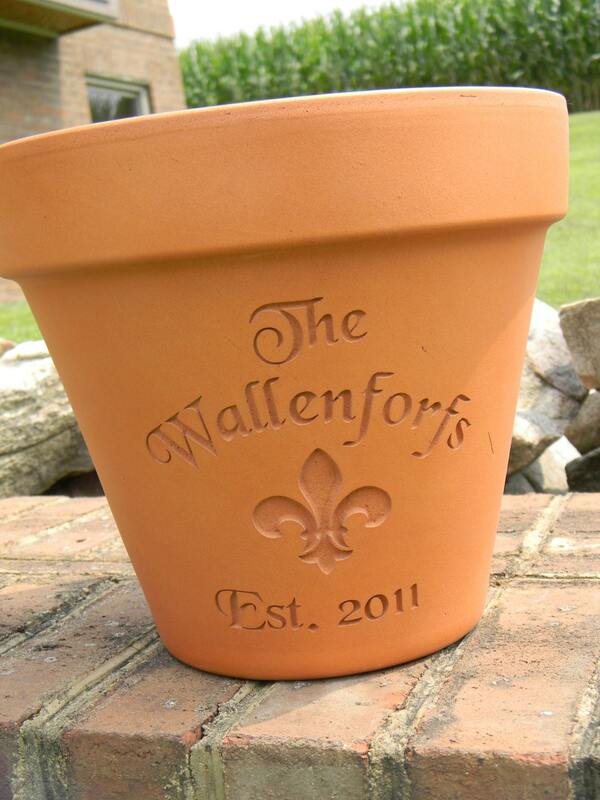 Custom carved terra cotta flower pots make a memorable gift and look great in any home or business. Great for housewarming, new business, a vacation home, weddings or anniversaries, birthdays and holidays too. I deep carve your name and choice of design right into the terra cotta, then it is finished with a clear glaze to enhance the carving while preserving the finish. This is a standard size 10” flower pot with drain whole in the bottom. Please note that the natural characteristics of terra cotta include uneven texture, coloring and markings and each flower pot has slight variations. Select from a design here or convo me for any special requests. This pot came our absolutely beautiful, even better than I imagined. Even better, the seller was super helpful and responsive throughout the entire process. I received a proof until I felt completely happy with the outcome. I highly recommend this shop and this product. I love my pot! I love everything fleur de lis! Elegant. Shipped on time and very pleased with the product.